As some of you probably know, we began our English Conversation Activities in January 2017, a project which has been successfully running for over two years. We first started with four, Basic and Intermediate-Advanced, Groups and currently offer eleven in several UPM Campuses and Centres: RECTORADO B, MONTEGANCEDO, ETSIDI (aimed at both Diseño Industrial and Ingeniería Civil personnel) and CAMPUS SUR. 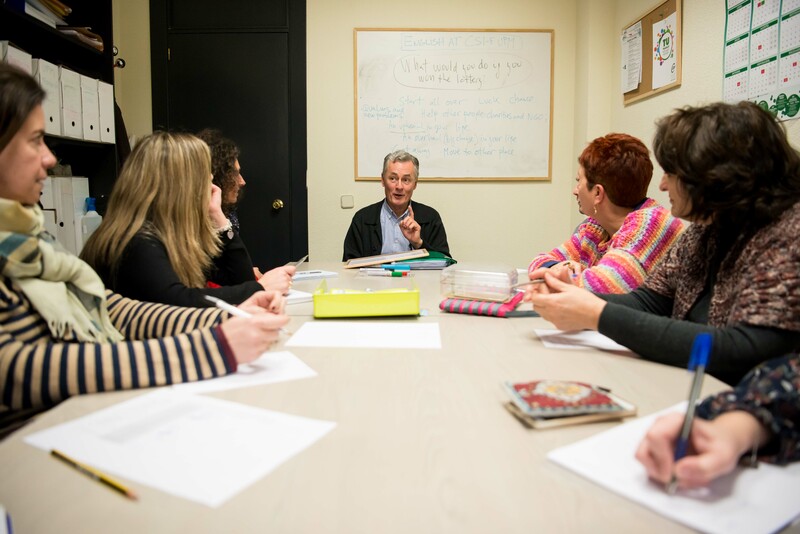 The project´s goal is to provide our UPM workmates the opportunity to practice spoken English on a regular basis, so as to improve their skills and fluency. That is the reason that led us to organise free conversation groups, which have been designed to encourage all its members to participate actively, by making questions and sharing knowledge and opinions on the conversation topics proposed for each activity. Asunto: Grupo Inglés (Nombre del Grupo). Puesto de trabajo y Centro. Thanks for your time and welcome to English at CSI-F.
Join us and have fun speaking in English!